Preschoolers are naturally curious, and developing a creativity practice sets them up for success in the classroom for years to come. Does our creativity tend to atrophy as we get older? Science seems to think so! NASA developed a longitudinal creativity test and first gave it to preschoolers where most of them scored 98 percent or what is considered genius levels in terms of creativity. They were then retested at 10, 15, and as adults each year their levels of creativity significantly declined. The takeaway: creativity is more of a practice or exercise than something that just comes naturally. When you enroll your preschooler in our preschool program at Community Education Research Group, we help them learn and practice the skill of honing their creativity! Follow along in today’s post and learn how to better stir creativity in the classroom and at home! In early education, there are so many t’s to cross and i’s to dot that we can often overcomplicate things both at home as parents and caregivers and in the classroom as teachers, but one factor we can always embrace is cultivating creativity. 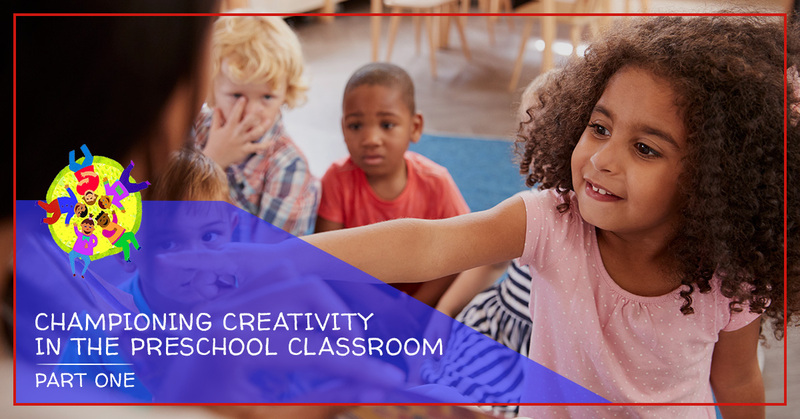 There is often a myth that creativity has to do with the arts, yet being artistic is only one small part of being creative — a creative classroom is vital to the success of the students within it. So, how do you champion a creative classroom? Don’t be afraid to modify what isn’t working. While we follow the DC Common Core Standards in addition to the Creative Curriculum, it’s important that our preschool teachers have an autonomous classroom where they can ebb and flow with their classroom daily, and this means changing and innovating what isn’t working. Teachers know their preschools best, so if you have modify something to make it work better, this can help foster creativity because the mundane and status quo isn’t being followed. Foster a sense of nonlinearity. As adults, we’ve probably come to the realization that life isn’t linear — not black or white, and this is important to pass on to your preschoolers. When you begin to cultivate a sense of thinking outside the box (or not even alluding to a box) or drawing outside the lines, there are no perceived limits and the kiddos are allowed to explore their creativity and embrace the oddest of ideas and activities because that is what makes them unique! When kids learn that things don’t always go as planned or perhaps the outcome didn’t exactly turn out the way they wanted, you can help them work things through creative improvisation. For example, if you’re doing an art project and drawing and coloring their family pet and all the grey crayons are taken, suggest they improvise and use a different color — sure it may not perfectly reflect their grey cat Chester, but it still represents them and that’s the important piece. When kids are able to improvise, they’re learning how to adjust and make unforeseen circumstances work for them — a practice in creativity! The creative classroom is full of ways to foster and develop the practice of creativity. If you’d like more tangible ways to champion creativity, stay tuned for part two! 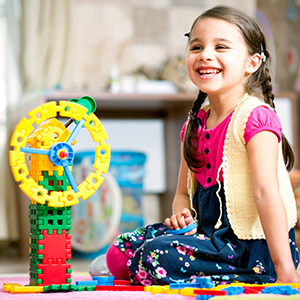 To learn more about the Creative Curriculum for preschoolers, reach out to us today!